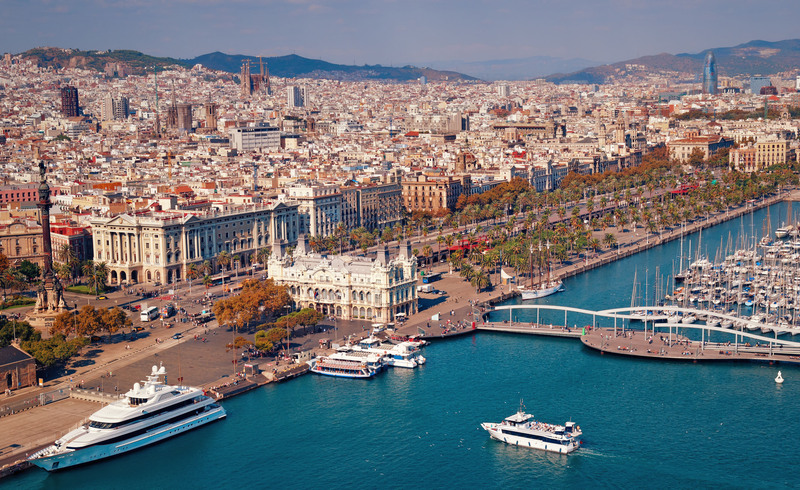 Barcelona is now one of the most popular cities in Europe situated in the eastern part of Spain in the region of Catalunya. It became more and more famous during the last century due to the Olympic games, and thanks to the monumental buildings of Gaudi's brilliant mind. 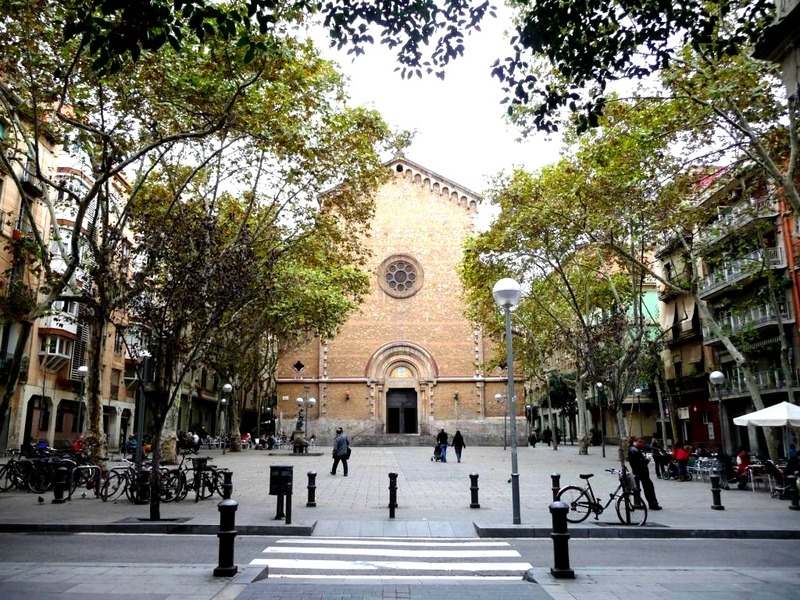 Barcino (Barcelona) was originally populated by various iberic inhabitants, before the Roman settlers installed a camp, and the city started growing near the Mediterranean sea becoming one of the most relevant port town, competing with the Genova's main harbors. 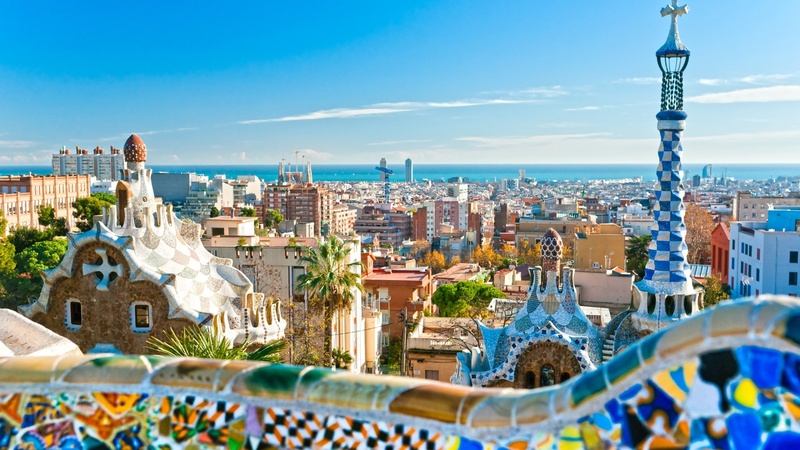 Parc Guell is an amazing surreal parc made up by Antoni Gaudi, the main developer of Barcelona's cultural level. Barcelona it's an upturned city and the park is right up the hill so keeping hiking it completely worth it to have a wonderful eyesight on the town and the opportunity to have a different outlook on it. Walking towards Gracia it is possible to see many of Gaudi's dreamy architectures, Casa Milà also known as La Pedrera is one of them, Passeig de Gracia the main shopping street in Barcelona also owes Casa Batlò, another absurd work of Gaudi's hands. The Magic Fountain in Plaza Espanya and the fountain in Plaza Catalunya are definitely the most beautiful places to rest on a bench relaxing with the sound of the water flowing. Barcelona has two faces, one during daytime, and the other one shows up after sunset. There are a lot of delightful places to pass a quiet and romantic evening, or a party night with friends. Spanish people really know how to have fun, listening to reggaeton and dancing all the time. This huge structure of La Sagrada Familia, started in 1882 still under construction, is Gaudi's masterpiece, where he's buried. 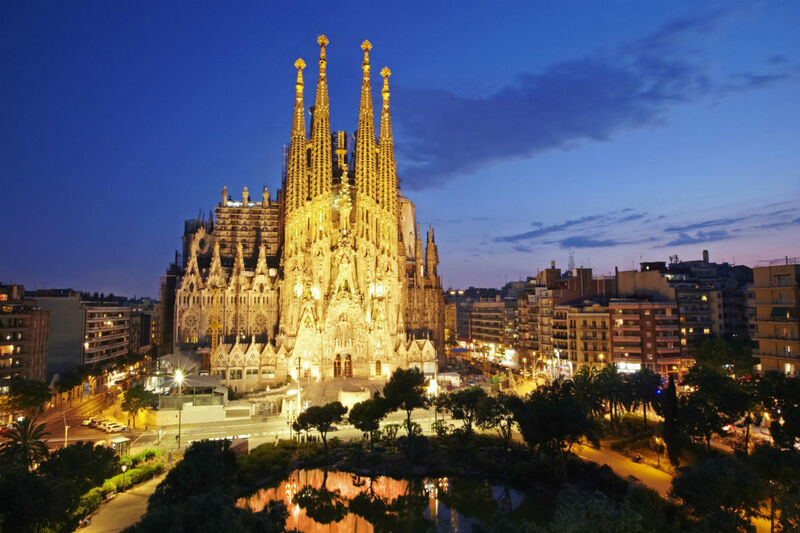 Considered the symbol of the city, the Temple Expiatori de La Sagrada Familia, is one of the most visited monuments in all Europe. Its four towers, 115m tall, reminds of melting sand castles. The architect Antoni Gaudi didn't really started working at it, this work has been delegated to him from another architect Francesc Villar. That's why, when he took control of the project he changed it completely being always present, supervising the works, and particularising step by step the small details, making it how it looks like nowadays. Unfortunately Gaudi died in an accident in 1926 and during his lifetime he only managed to build the front side, leaving the project in the hands of his assistant. He was already conscious that La Sagrada would have taken more than a lifetime to be finished, so he made the first asset of bases as a landmark for the future architects. The church plans to be completed around 1926, almost one hundred and a half years. It really takes nothing to get used to the rhythm of the city, alive at every time.